obvious that Barry loves what he does and it shows in his work. Do not waste your time or money going anywhere else! This is the only place you will find an EXACT replica of the KISS costumes made with high quality materials and superb craftsmanship. 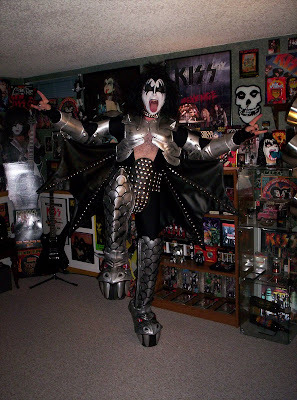 We Are The Best KISS boots armor whatever!